Lefkada is without a doubt a kite- and windsurfer’s paradise. Ideal wind conditions, excellent infrastructure and services as well as a seascape that will leave you breathless are all factors that made Lefkada a prime destination of action-hungry windsurfers and kitesurfers. 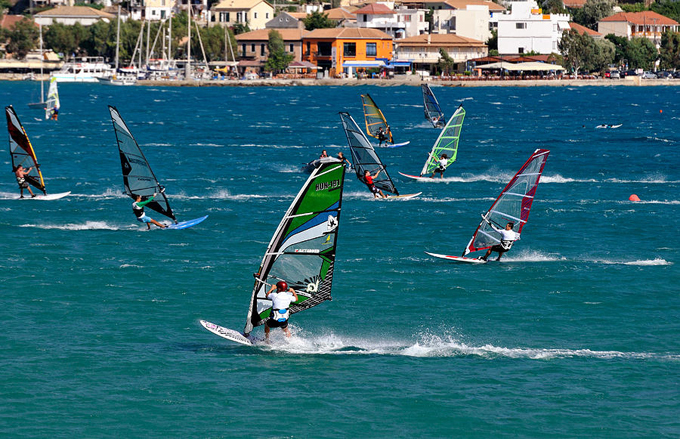 Windsurfers converge on Vasiliki beach in the south while kitesurfers congregate around Ai-Ianni beach in the north. Kite-surfers, take your non-surfing friends with you because not only is Ai-Ianni a wonderful place for a dip, it also offers a colorful vista full of swooping kites along the horizon.